India has always been associated with opulence, stories of kings and queens, of lavishness and wealth. Witness this magnificent country with a visit to the Land of Rajas or Kings – Rajasthan, a place known for its inimitable hospitality interfused with the splendor of royalty. Saturday 01 November 2014. Welcome to India and the start of your holiday! Upon arrival you will be met at the airport and transferred to your hotel. 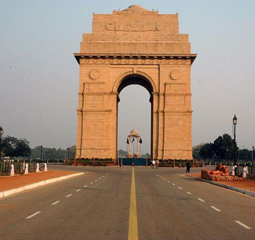 Delhi – India’s capital and a major gateway to the country. Delhi is a bustling metropolis, which successfully combines in its folds – the ancient with the modern. Amidst the fast spiraling skyscrapers the remnants of a bygone time in the form of its many monuments stand as silent reminders to the region’s ancient legacy. After breakfast morning is free for personal activities. Delhi – Ajmer - Pushkar. 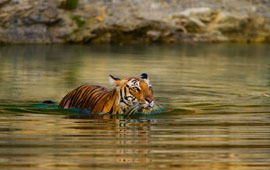 Today we take an early morning train to the town of Ajmer and enjoy a sightseeing tour upon arrival. Located just 11 kilometres away from Pushkar, Ajmer is an important railway town and home to the mausoleum of Muslim Sufi Saint Chisti. Not being part of any principality, it represents the multi-religious character of India and is a blend of Sufi culture and Hindu religion. Ajmer also has a reputation as a great centre of education, with the Mayo College standing above the rest. Later this afternoon we drive on to Pushkar for the evening. After breakfast you will be taken for the half day sightseeing tour of Udaipur city. Pushkar Camel Fair. Today is our first day at the Pushkar Camel Fair. 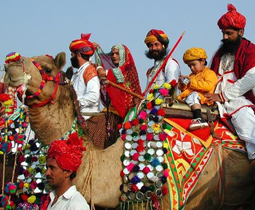 Once a year this sleepy lakeside town erupts into a frenzy of activity, as hundreds of thousands of cattle traders, pilgrims, breeders, herdsmen, farmers and travellers descend upon the town for the annual Pushkar Camel Fair. After lunch we head over to the fair grounds for a glimpse of this authentic cultural affair. Here you can witness the serious business of livestock trading as well as watch (or take part) in some fun activities, such as a game of tug of war, a cricket match, a competition for the longest moustache, and a camel beauty-pageant. There are also plenty of market stalls with local wares on sale, including bracelets, clothing, and fabrics. No hotel booked for this evening.